Larry Johnson. Bruce Smith, and Jim Hudler (Left to Right). Photo by Mary Buzuma. 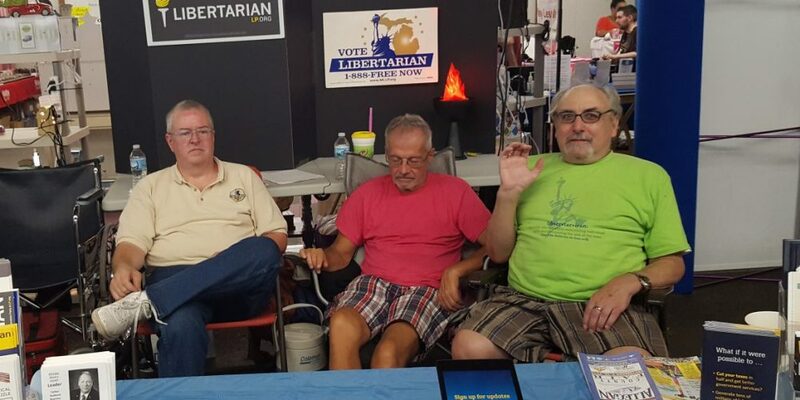 Allegan, MI – From September 7th through 15th, Libertarians worked the Allegan County Fair Booth. 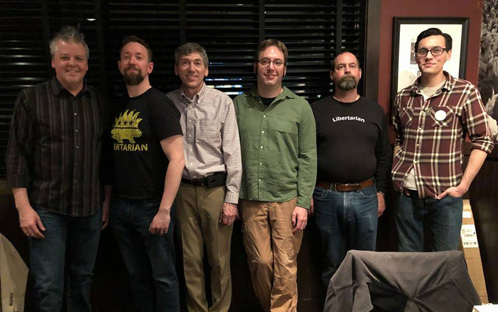 Mary Buzuma of the West Michigan Libertarian Party was volunteer coordinator. Myself and Arnie Davidsons helped work the booth for a whole week. Bruce and Ann Campbell of Allegan also helped as volunteers for a few days as well as many others from the West Michigan and Southwest Michigan Affiliates. 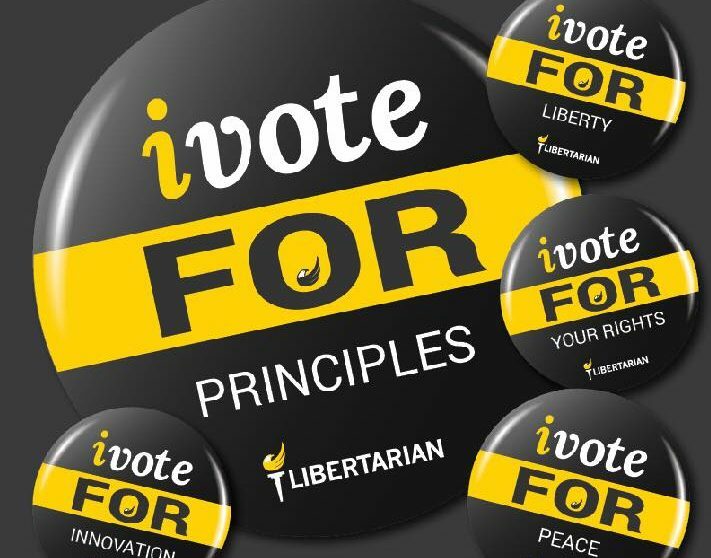 We handed out flyers for candidates and the Libertarian Party. Many fair attendees stopped and took the “World’s Smallest Political Quiz” and were surprised to find that they were Libertarian. The fair parade on Monday night had the “Lady Liberty” float. Mary and Ann walked the parade route along with our candidate for Governor Bill Gelineau who worked the crowd. The band that marched in front of our float played “My Country ‘Tis of Thee, Sweet land of Liberty.” You couldn’t ask for anything more and for free. Parade watchers clapped as our crew and float passed by them. 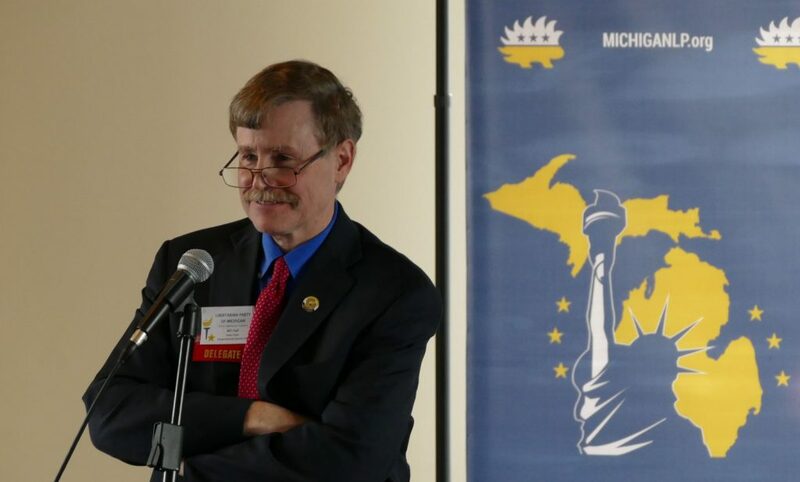 You’ll find Bruce Campbell on the statewide ballot for Trustee of Michigan State University. Mary Buzuma is running for State Senate in District 30 (Ottawa County). 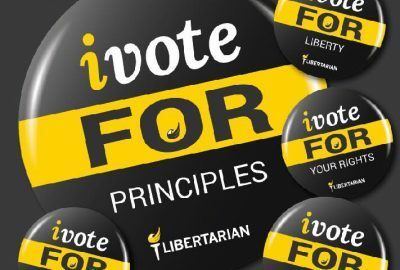 Be sure you are registered and vote November 6th! 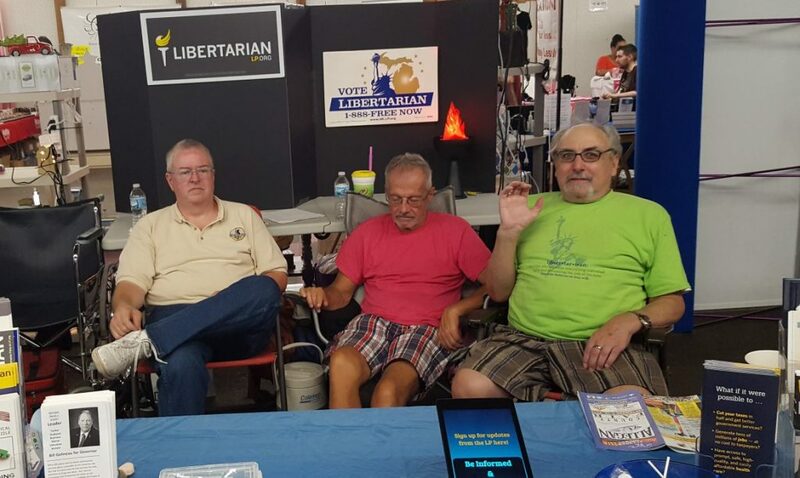 I would like to thank everyone who volunteered at the Libertarian Party of West Michigan’s booth at the Allegan County Fair this year and made it our most successful to date. 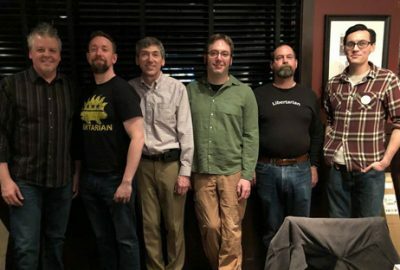 Together we handed out about 600 pieces of literature (mostly the Libertarian Promise to Michigan with Slate Card and Bill Gelineau for Governor tri-fold), gave 100 World’s Smallest Political Quizzes and managed to raise a few bucks in the process. 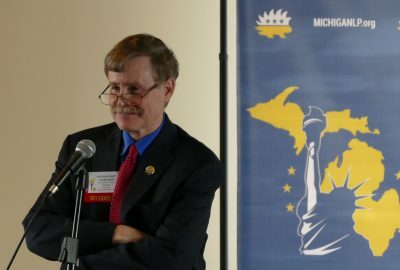 Thanks to: Ginger Walto, Jason Brandenburg, Jamie Lewis, Bruce and Ann Campbell, Jake, Rachel and Quinn Andrews, Nick Zientarski, Quinton Smith, John Hanse, Larry Johnson and James Hudler (thanks guys for coming all the way from Washtenaw), Bill Gelineau (the only candidate for governor at the parade) and Lorence Wenke who got “The Lady” to the parade. A very special from the bottom of my heart thanks to Arnis Davidsons and Bruce Smith (the cookies were great) who were there every day and kept me from going insane. I hope to see all of you again at the fair in 2020!